I have a bunch of pictures of George Hincapie. 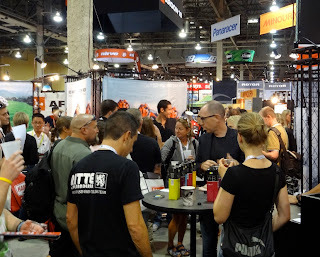 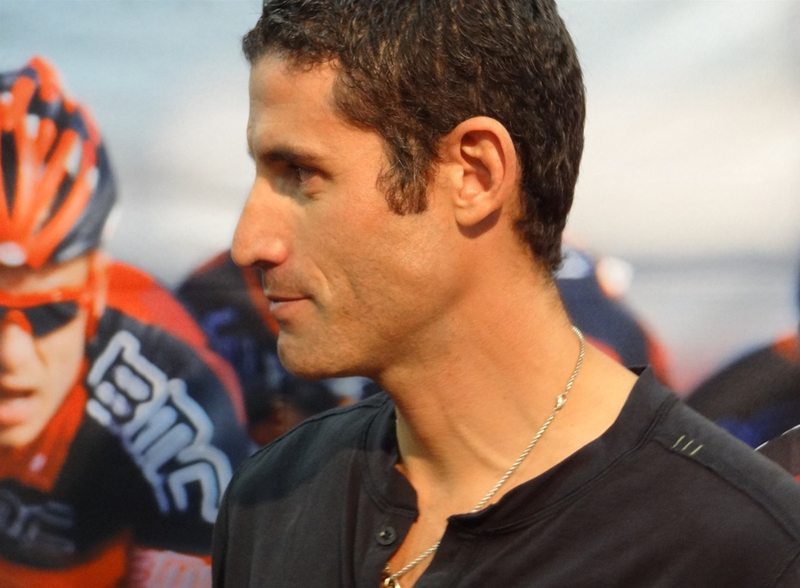 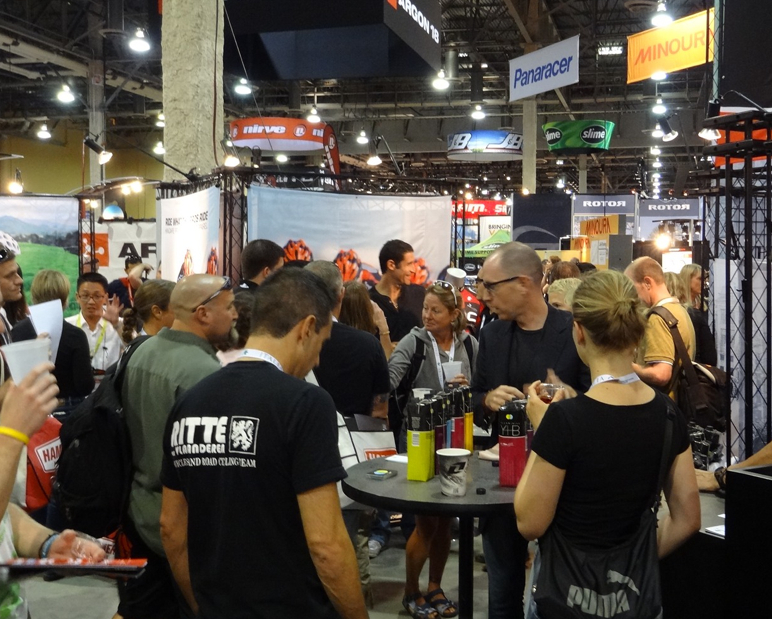 I was recently sorting through some images from Interbike 2011 in Las Vegas, and realized I have some great pictures of George Hincapie that I have yet to post (I have many pictures I have yet to post, must get to that). 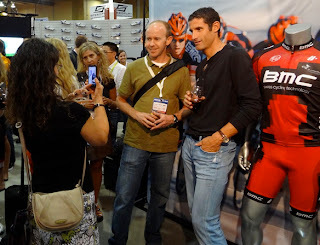 It's Friday, I'm excited for the weekend, and having just posted the piece on Thomson Bike Tours at the Tour de France, I was reminded of my interview with Peter Thomson in which I asked him the question, "Which rider in the peloton have you witnessed as being most gracious to fans?" Guess who he said - Hincapie! 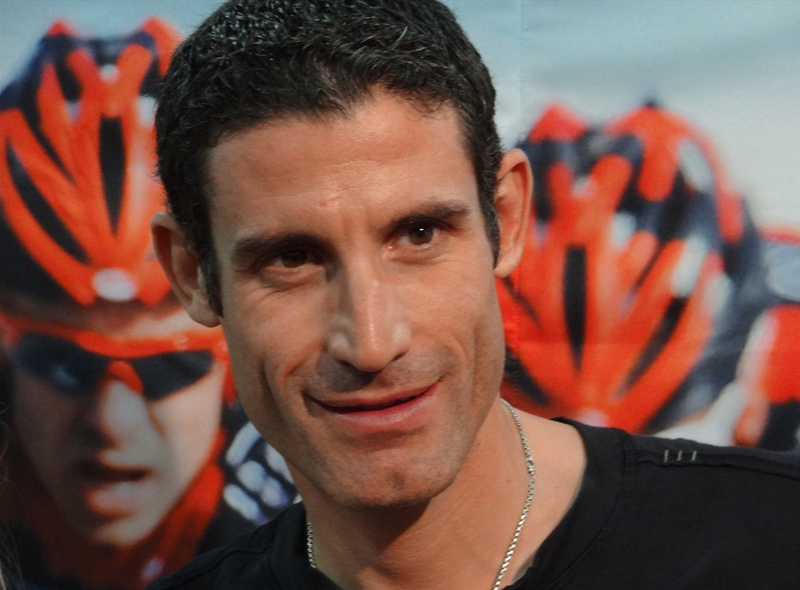 Peter said, "Hincapie. 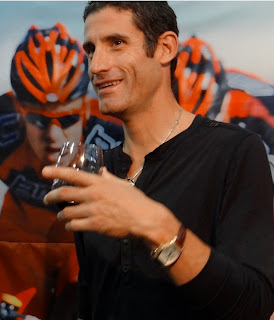 Every time he is at the Tour de France he always makes himself available. He is always very nice with our clients." 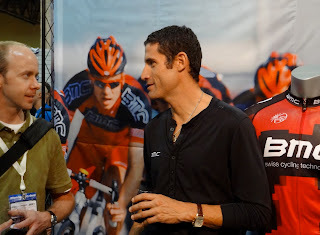 He continued, "And also Popo (Yaroslav Popovych) (RadioShack-Nissan-Trek), he is such a nice guy, pleasant, down to earth."